If you were studying at, say, Cambridge, during the late Middle Ages, you would have been expected to master a fair amount of natural science and mathematics in order to gain an MA degree (which in those days was not a just freebie for those with BAs). But unlike today, you would have found everything you needed to know from books and lecturers rather than being expected to do any practical work. These books and lectures, of course, were all in Latin which was the only language students were allowed to speak at any time. Mathematics was broken down into four sub-subjects - arithmetic, geometry, music and astronomy – so it was known as the quadrivium. At Cambridge arithmetic meant learning how to do sums, extracting roots and solving equations. Surprisingly, though, it seems to have been very different at Oxford. There, you would have studied the properties of prime and perfect numbers with the aim of reaching a philosophical understanding of them rather than learning about practical applications. At both universities, music was devoted to the theory of ratios and harmony and consequently was not seen as a particularly useful subject. The evidence suggests many students paid no attention to it and the music lecturers sometimes asked to change their course because no one was turning up. Geometry was based squarely on the Elements of Euclid which is an ancient Greek textbook that can still be used with profit today. He starts from the simplest definitions and proceeds to erect the entire edifice of geometry onto this solid bedrock in logical and indisputable steps. So perfect was Euclid’s system that it was used as an analogy for the work of God when he produced the heavens. The final of the four sub-subjects making up the quadrivium was astronomy. The greatest misconception about science in the Middle Ages is that people thought the earth was flat. In fact every educated person knew it was a sphere and they also believed that the whole vastness of the universe was the same shape. 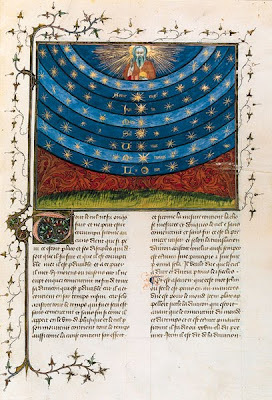 The most popular textbook for astronomy was by the Englishman, John Sacrobosco, who wrote a short treatise called The Sphere in the thirteenth century. This was especially for university students and it was still being used up to the scientific revolution as a basic introduction from which more advanced topics could be introduced. Sacrobosco, following the nearly unanimous opinion of the ancient Greeks, did place the earth at the centre of the universe but this made a lot of sense. After all, the earth is obviously not moving and if it were rushing through space as Copernicus required, presumably we would notice. Geography was another subject, generally considered part of mathematics, that was becoming increasingly popular through the sixteenth century. Despite the discovery of the New World in 1492, the most popular textbooks had been written over a thousand years before by ancient Greeks and Romans. However, modern authors like the Germans, Peter Apian and Sebastian Münster, began to produce up-to-date books that made it part of their selling point to include all the latest details about Peru or Mexico. We find these being used side by side with the ancient authorities. After mastering the quadrivium, students moved on to natural science proper. This was based almost entirely on the work of Aristotle, but after 1535 the English Government ordered the universities to stop using the old medieval commentaries and concentrate on the original texts or new works by humanists. Consequently, the scholastics, who had dominated philosophy for centuries, were hardly studied at Cambridge after this date. Instead the emphasis was on modern interpretations of Aristotle including a good deal of criticism of his thought. This meant that although Aristotle seemed to provide answers for everything about the universe, people realised that they were not necessarily the right ones. The influence of Christianity on Cambridge University in the Middle Ages was obviously profound, but it does not seem to have had a negative impact on the study of science. It was commonly believed at the time that by studying God’s creation and marvelling at his work, you were engaged in a religious duty. This meant that doing science was something that was of interest to even the most religious of men. As we have seen. the main effect of the Reformation was to give an opportunity for the syllabuses to be radically overhauled and most of the medieval texts removed from them. 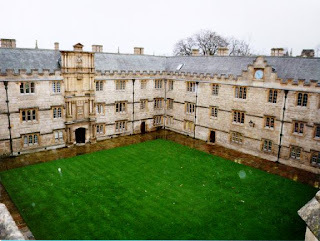 There is a famous story related by the antiquarian, Anthony à Wood, about the Protestant Reformers ransacking Oxford’s libraries for mathematical books they thought were Satanic. However, there is no evidence for that happening at Cambridge and the evidence from Oxford turns out to be pretty shaky as well. So, we should certainly dispose of the idea of religion holding back science even during a period when Christianity was the absolutely dominant social reality and the Reformation had heightened religious sensibilities even further. In the end, the subjects being studied at Cambridge before the scientific revolution were nothing like modern science. But it was a period of rapid change when Platonic number theory was being replaced by practical arithmetic and algebra, when the classical view of the earth was being radically overhauled and when new knowledge and interpretations were often welcomed and studied. It was this that provided the foundations upon which the scientific revolution could be built. It would be difficult to overstate the important of Chariot racing in the Greco-Roman world. Emperors regularly stated their loyalty to particular drivers and powerful factions (Reds, Whites, Blues and Greens) organised the financial, technical and professional side of the sport. The fanatical support of the mob for their individual factions in the races is commented on again and again in the sources. We hear for instance that in AD 390, on charioteer from one of the factions in a place called Thessalonica made a homosexual advance on a Roman general in the area and was ordered to be arrested. When word got out, the supporters of his faction rioted, lynched the general concerned, broke their charioteer out of jail and then continued to riot and burn down the centre of the city. The Emperor had to send in the troops and seven thousand people were killed in the ensuing chaos. Such was the passion of the charioteer supporter. Alas, I think it would take a prohibitive number of curse tablets to get Ipswich Town to a respectable position in the league. Francis Collins is one of the most celebrated scientists in America. His stellar career was capped by steering the Human Genome Project to a successful conclusion. In the process, he proved he was a first class administrator as well as researcher. A committed Democrat, he campaigned for Barack Obama and the President rewarded him with a prestigious position as the head of the National Institutes of Health (the NIH). Collins worked there for many years, so he knows the ropes and his appointment was widely welcomed. “Top scientist gets top job” does not sound like a recipe for controversy. After all, Collins is brilliantly qualified for a role that combines management and science in equal measure. But some people are actually very upset about the appointment. Can somebody who holds such anti-scientific and downright silly beliefs really be qualified to run the NIH? Isn’t he disqualified, not by whether or not he leaves his beliefs outside the laboratory and the committee room, but by the very fact that he is capable of holding such beliefs at all? New atheists claim that science and religion are fundamentally incompatible and cannot be accommodated. They admit that, in practice, religious scientists seem to do their jobs just fine. History shows us that many of science’s greatest figures – for example Robert Boyle, Isaac Newton and Michael Faraday – were unusually devout even by the standards of their own time. But a scientist who believes in an active God is intellectually compromised, according to the new atheists. In the words of P.Z. Myer, they lack “integrity”. As such, it seems, they can’t really be trusted with important jobs. Luckily, Boyle, Newton and rest decided that there was no contradiction between their faith and their investigation of the laws of nature. Most of the difficult issues that Christians had to tackle before they could practice science had been dealt with during the Middle Ages. So by the time Newton came long, it was clearly understood that there was no need for a conflict between religious faith and natural science. The authors of Truth are silent on matters of natural philosophy, not because these matters are against the faith, but because they have little to do with the upholding of such faith, which is what those authors were concerned with. Because the things in the world are mutable and corruptible, it is necessary that they should have an author. Because they are arranged in a rational way and in a very beautiful order, it is necessary that they should have been created in accordance with wisdom. The rationality and order of nature was thought to be proof that the Deity existed. This made studying physical laws another way to know the thoughts of God. Nature was one book written by the creator, just as the Bible was another. Finally, new atheists claim that the very fact that Christians admit the possibility of miracles means that they cannot do science. After all, how is the believer supposed to tell when the cause of an event is natural and when it is supernatural? In other words, religious scientists can always assume that nature is following her ordinary course. They can’t completely rule out miracles, but they can safely discount them for the purposes of their research. Today, we call this philosophy “methodological naturalism.” It is fine for scientists to be inspired by their faith, or to use it to provide a justification for their work. It is not even a problem if they see God’s hand in the formation of the natural laws that they are studying. What they must not do, however, is look for direct evidence of the supernatural in the laboratory. That is why Intelligent Design is not really science. It is predicated on the miraculous rather than assuming its absence. Francis Collins has no problem reconciling his religious beliefs with his scientific work. His very success is a standing indictment of those who claim that science and religion must always be in conflict. 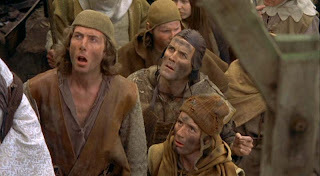 But he has the philosophers of the Middle Ages to thank for clearing the ground and making science safe for Christians. G. K. Chesterton had a strong influence on C. S. Lewis. In his autobiography Surprised by Joy, Lewis praised Chesterton as having "more sense than all the other moderns put together", and he wrote in a letter that Chesterton's The Everlasting Man played a role in his conversion to Christianity. One way this influence expressed itself -- although I've never seen anyone make the connection -- is in Lewis's Argument from Reason. This is the idea that any form of naturalism invalidates the veracity of thought; and since naturalism is itself the product of thought, it is hoist with its own petard. Chesterton wrote a short essay entitled, "The Wind and the Trees" which makes a point very similar to the Argument from Reason. Looking at the trees blowing in the wind one day, he recalled something from his youth. Chesterton's point is that we don't see the wind; we only see its effects on the trees and infer from this the wind's existence. But if you are faced with two entities -- one invisible, and only known inferentially; the other directly perceived, physically imposing, even daunting -- wouldn't it be reasonable to think the latter is the cause of the former rather than the other way round? Shouldn't we say that the obvious imposing reality has produced the ephemeral evanescent one? Doesn't it seem absurd to say that the less substantial has produced the more substantial? Nevertheless, this intuition is false. It is the wind that blows the trees, not the trees that make the wind. And this applies further than the particular example Chesterton has given. In the little apologue or parable which he has thus the honour of inventing, the trees stand for all visible things and the wind for the invisible. The wind is the spirit which bloweth where it listeth; the trees are the material things of the world which are blown where the spirit lists. The wind is philosophy, religion, revolution; the trees are cities and civilizations. We only know that there is a wind because the trees on some distant hill suddenly go mad. We only know that there is a real revolution because all the chimney-pots go mad on the whole skyline of the city. Just as the ragged outline of a tree grows suddenly more ragged and rises into fantastic crests or tattered tails, so the human city rises under the wind of the spirit into toppling temples or sudden spires. No man has ever seen a revolution. Mobs pouring through the palaces, blood pouring down the gutters, the guillotine lifted higher than the throne, a prison in ruins, a people in arms -- these things are not revolution, but the results of revolution. You cannot see a wind; you can only see that there is a wind. So, also, you cannot see a revolution; you can only see that there is a revolution. ... The wind is up above the world before a twig on the tree has moved. So there must always be a battle in the sky before there is a battle on the earth. Thus, an interesting paradox. That which appears less substantial is prior to that which appears more substantial. The physically imposing bends to the will of the unseen reality. So why does Chesterton claim that most of the "philosophers, reformers, sociologists, and politicians" of the day deny this? And what does this have to do with the Argument from Reason? The great human dogma, then, is that the wind moves the trees. The great human heresy is that the trees move the wind. When people begin to say that the material circumstances have alone created the moral circumstances, then they have prevented all possibility of serious change. For if my circumstances have made me wholly stupid, how can I be certain even that I am right in altering those circumstances? The man who represents all thought as an accident of environment is simply smashing and discrediting all his own thoughts -- including that one. To treat the human mind as having an ultimate authority is necessary to any kind of thinking, even free thinking. This last paragraph is a clear statement of the Argument from Reason. If our thoughts and thought-patterns are accidental by-products of our brains' biochemistry or our personal psychologies then it becomes difficult to place any confidence in them. But obviously, this would apply to the thoughts that led us to believe that our thoughts and thought-patterns are accidental by-products. Thus, this position is self-defeating. So since Lewis knew Chesterton's work well, it stands to reason that he read this essay in particular, and therefore that it may have influenced his development of this argument. On the other hand, it could just be an interesting parallel. However, I think a stronger case can be made. Lewis wrote an excellent essay entitled "Is Theology Poetry?" (in The Weight of Glory and Other Addresses) in which he defends Christianity against the charge that it is accepted for purely aesthetic reasons. In response he writes, "if Theology is Poetry, it is not very good poetry. ... If Christianity is only a mythology, then I find the mythology I believe in is not the one I like best. I like Greek mythology much better, Irish better still, Norse best of all." Lewis further argues that his rejection of Scientism (not science) is at least partially based on the Argument from Reason. Here is a statement of the argument similar to Chesterton's. Not only do we see the problem of relegating reason to the status of a "by-product" (Lewis) or "accident of environment" (Chesterton); we also have the positive statement that "Reason is an absolute" (Lewis) or the human mind must have "an ultimate authority" (Chesterton) if thinking is to be valid. But again, this doesn't necessarily bespeak of a direct influence of Chesterton's argument on Lewis's, it could still be just an interesting parallel. However, Lewis returns to the subject in the final paragraph of his essay. Granted that Reason is prior to matter and that the light of that primal Reason illuminates finite minds, I can understand how men should come, by observation and inference, to know a lot about the universe they live in. If, on the other hand, I swallow the scientific cosmology as a whole, then not only can I not fit in Christianity, but I cannot even fit in science. If minds are wholly dependent on brains, and brains on biochemistry, and biochemistry (in the long run) on the meaningless flux of the atoms, I cannot understand how the thought of those minds should have any more significance than the sound of the wind in the trees. Wind ... trees. Where have I heard that before? I get up from under the trees, for the wind and the slight rain have ceased. The trees stand up like golden pillars in a clear sunlight. The tossing of the trees and the blowing of the wind have ceased simultaneously. So I suppose there are still modern philosophers who will maintain that the trees make the wind. Richard Fortey, late of the Natural History Museum in London and world renowned expert on trilobites, has reviewed The Genesis Enigma for the Times Literary Supplement. If I recall, we have previously disapproved of this book by Andrew Parker on the Quodlibeta forum. The reviewer has a difficult choice when faced with a book like The Genesis Enigma. Should it be given the oxygen of publicity? Or should it be ignored? To treat such a book at length in the TLS is to award it a seriousness it does not really deserve, but what has propelled me to do so is the invocation of science and scientists in support of Parker’s dodgy thesis. It is important that scientific evidence be honestly treated. There is an alarming tendency today to regard science as “just an opinion”. I do think it possible that some anti-rationalists might welcome Parker’s book to show how much a matter of opinion science can be. It is not, of course; it stands or falls on evidence. Moreover, the endpapers of The Genesis Enigma emphasize Parker’s apparently respectable positions in the scientific establishment, as an Honorary Research Fellow of Green Templeton College at Oxford. He does, in one sense, speak for science, and he has done science no favours. I can't say I disagree with that. A reviewer at Amazon has put up a couple of interesting book lists preceded by some political critique. His point is to criticize the political left (on which I make no comment), but he also addresses the conflict myth, both in the commentary and the lists. God's Philosophers makes an appearance in the first one. Check out his collection of quotes on this page too (under "Interests"). Via Tigerhawk. So, how many angels can dance on the head of a pin? The classic formulation of the question only appeared in the nineteenth century with the fifth edition of the book Curiosities of Literature by Isaac Disraeli, father of the Prime Minister Benjamin. He asked “how many angels can dance on the head of a very fine needle without jostling one another?” Precisely when the angels transferred themselves from a needle to a pin continues to perplex scholars. Like all good myths, there is a grain of truth in the accusation that theologians of the Middle Ages wiled away their time on such trivialities (the word trivial is itself a corruption of the Latin trivium, meaning the first three subjects in the medieval university syllabus: grammar, logic and rhetoric). After all, they did believe in angels, thinking of them as non-material spiritual beings. This led Thomas Aquinas to ask if “several angels can be in the same place?” In context, the question raises a number of profound philosophical issues probably more relevant today in an era of quantum tunnelling and non-local interactions than they were in the Middle Ages. Another strand of medieval intellectual life that has led to much misunderstanding is the tradition of quodlibeta (now the name of my blog). A loose translation for this Latin term would be “anything you like”. This was a special occasion at a medieval university when the students could quiz their masters with the most fiendish conundrums they could dream up. The professor had a chance to show off his intellectual dexterity, as well as an ability to think on his feet, by producing an answer that conformed to all the strict rules of logic. The result was a perplexing form of cerebral entertainment. Many examples of these questions have come down to us, including ‘Should someone born with two heads be baptised as one person or two?’, ‘Can a bishop who is raised from the dead return to his office?’ and ‘Is a hog that is led to market on a rope by a man, led by the man or the rope?’ Even Thomas Aquinas suffered the indignity of being asked, ‘Is it better for a crusader to die on the way to the Holy Land or on the way back?’ If anyone had asked how many angels can dance on the head of a pin, it would have been meant in this spirit. Aquinas also stands accused of claiming that angels pushed the planets across the sky. In fact, some charming manuscript illuminations do exist of an angel turning a handle to keep the heavens moving. But for Aquinas himself, the problem of planetary motion was an acute one. Following ancient Greek precedent, he was convinced that no object could move if it was not being moved by something else. He even used this principle as a proof for the existence of God as the ultimate mover. In the case of the planets, he postulated that they might be living things able to move themselves. But he wanted to avoid any association with pagan deities, so he substituted them for angels or at least ‘intellectual substances’. It was Aquinas’s loyalty to the Greek tradition that got his cosmology into trouble. But in the fourteenth century, John Buridan, rector of the University of Paris, developed a concept that he called ‘impetus’, analogous to but not the same as ‘inertia’ in modern physics. He explained how, in the frictionless environment of the heavens, the planetary spheres would experience no resistance to their motion. So as long as they had been given a push at the creation of the world, their impetus should allow them to keep turning forever. It was a remarkable insight that solved one of the central problems of cosmology, even if Buridan’s solution was not quite right. Better still, no angels were required. So. You’ve read 'The Selfish Gene'. You’ve skim read Jerry Coyne’s ‘Why Evolution is True’ and you’ve looked at the pretty pictures in Douglas J. Futuyma’s Evolution textbook. Now you have done all the preparation needed to be able to take on those dumbass Christians on the internet and leave devastating comments on their blogs. But first, why not take our ‘Quodlibeta Evolution Quiz’ and test out your knowledge. Q1 - Who said ‘It seems to me absurd to doubt that a man may be an ardent Theist & an evolutionist'? 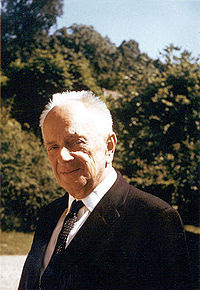 Q4 - Theodosius Dobzhansky played a key role in shaping the modern evolutionary synthesis. Which line appears in his essay ‘ Nothing makes sense in biology except in the light of evolution’ ? a) ‘Oh Sh*t we’re rumbled! b) Whose kneecaps do we have to split to stop this from getting out! B) An advocate of Logical Positivism. C) A deeply devout Anglican who, between founding modern statistics and population genetics, penned articles for church magazines’. Q9 - Richard Dawkins was made a professor at Oxford. You get extra points for linking the Church of England to the September 11th attacks and accusing us of systematic brainwashing. I occasionally get emails about evolution or intelligent design, so I thought I'd do a post about what I think the Christian response to these issues should be. 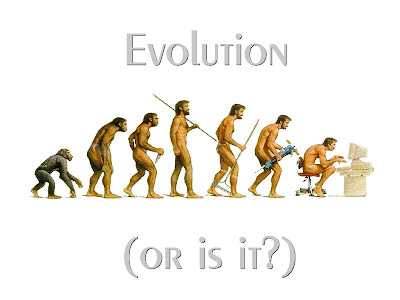 Even today, over 150 years after the first publication of On the Origin of Species, many people are concerned about the implications of evolution. I hope this post will help to show that evolution is not nearly as threatening as many Christians assume. On the contrary, I think that it reveals to us something about how God went about His work of creation. There are some atheists who believe that there is a conflict between science and religion. Richard Dawkins is most famous for this. Unfortunately, there are also Christians who think evolution and Christianity are incompatible. These Christians, who are usually called “creationists”, claim that Darwinism contradicts the book of Genesis in the Bible. Worse, they agree with Richard Dawkins that evolution actually implies atheism because it shows how life on earth could have arisen without being designed by God. Some Christians have become more hostile to science because they believe it contradicts religious faith. So Christians with experience of science need to explain why Darwinism is not an argument for atheism. Instead, we need to show that evolution is the way that God has chosen to bring about the infinite variety of life on earth. And we need to understand that He has chosen this method for very good reasons. One of the difficult issues that Christians must grapple with is the question of why God gives us so much freedom. He lets us do the most appalling things to each other because He knows that only if we can do evil will we appreciate and understand good. Many people would rather live in a universe where God kept a tighter reign on us and where we simply could not abuse our freedom. If that was the case, we would never have to grow up because we would never have to face the consequences of our decisions. Evolution is the extension of that freedom to the whole of nature. God did not individually create each species. Instead, He provided a mechanism under which organisms could develop in a vast number of different directions. Thus the beauty of the natural world is not a product of divine dictate but the result of a process that God initiated when He ordained the laws of science. The universe as a whole is undetermined and free. It has to be that way if our own free will is to mean anything at all. Again, people look at the consequences of this freedom and wish things were more restricted. But God has decided true liberty is something that He should extend to all His creation, not just to us. You will often hear it said that evolution is random. This is false and not a single biologist believes it. The process of natural selection is anything but random, but it is still undetermined in its outcome. That is why evolution can be so incredibly fruitful as a creative process and why, I believe, God has used it to generate all the variety around us. Evolution supplies science with a theory that explains, given some form of primordial life form, how there came to be all the wide diversity of life we see around us today. Although many questions remain unanswered, experimental evidence has accumulated to the extent that very few scientists question this conclusion. The only alternative is the controversial theory “Intelligent Design,” first suggested by the biochemist Michael Behe in his book Darwin's Black Box. He said that the internal structure of a living cell is so complicated that it could not possibly have evolved on its own. In fact, he goes further and says that many cellular structures are ‘irreducibly complex’. This means that there is no way that they could have evolved in the small steps required by Darwin’s theory. “Intelligent Design” theory claims that the irreducible complexity of cells points firmly to them having been designed. And since Behe is a Christian, it is clear that the designer that he has in mind is God. Michael Behe's book certainly hit a raw nerve among biologists, largely because he is absolutely right in pointing out the limits to current knowledge. There is no evolutionary pathway that we know of that could have led to the complex machinery of the living cell. However, this does not mean that no such mechanism exists. There were four billion years of evolution before any multi-cellular organisms appeared. As bacteria can reproduce in as little as ten minutes and given the number of single-celled creatures that the Earth could have supported, I'm convinced that the evolution of these structures happened by naturalistic means. Besides, as science has advanced, we have begun to explain how some of the cell’s machinery could have evolved and we can be confident that the rest will eventually yield to a Darwinian explanation. An even bigger puzzle is the origin of life itself. Not only is their no current scientific explanation for this, but we hardly have an idea of what such a theory could look like. Some Christians have seized on this scientific vacuum to assert that in the absence of an explanation, God must have done it. So how did God do it? I disagree that the origin of life or the complex internal structure of cells are evidence for direct divine intervention. Effectively, such an argument would claim God must have stepped in to fit together the right molecules to create cells or life itself. This is both a tactical and a theological mistake. Tactically, such 'God of the Gaps' arguments are a bad idea. They give atheists a chance to parade a victory for all-conquering science if a naturalistic explanation is later forthcoming. Theologically, as I shall now explain, they belittle the creative power of God. Many scientists think that the chances of life naturally arising are very small. But I expect that under the right conditions the naturalistic appearance of life is going to be a certainty. Why? Because we know God created this universe precisely so that it should have sentient life in it. Life is built into the very fabric of the cosmos - it is the thing that the laws of physics were designed to produce. Thus if life were impossible and God was required to intervene to invent it, that would mean His original creation was flawed. If He has to jury-rig the universe to achieve his aims, He is not the designer we had always thought He was. The same applies to the complexity of cells. We can be sure that they could have evolved because God ordained the laws of nature to make this possible. That our puny minds cannot conceive of how He managed to do this is no reason to assume that He could not. Philosophically, I think that Christians should value science because it tells us so many wonderful things about God's great creative work. So, when scientists find out how life started (which I fully expect them to do), far from being a victory for naturalism, it will be the final nail in the coffin of the preposterous idea of atheists that this universe is just a random fluke. One cannot demonstrate by any experience whatever that the heavens move with diurnal motion; whatever the fact may be, assuming that the heavens move and the earth does not or that the earth moves and the heavens do not, to an eye in the heavens which could see the earth clearly it would appear to move; if the eye were on the earth, the heavens would appear to move’. It is one thing to propose that the earth rotates upon it’s axis and orbits around the sun. We know that Aristarchus of Samos and Seleucus of Babylon attempted to do this in antiquity without very much success. It is quite another to answer the arguments against such a proposal, many of them formidable. Accordingly there is no evidence of anyone in the Middle Ages trying to say that the earth moved around the sun with an annual motion. This breakthrough would not come until Copernicus’s De revolutionibus and even then, few contemporary astronomers espoused his proposals. 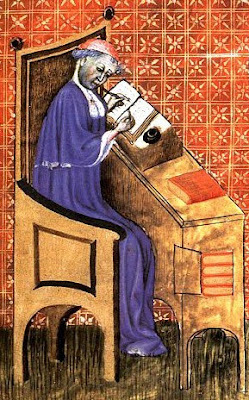 The topic comes up again in the fourteenth century under the guidance of Jean Buridan and Nicole Oresme. Buridan noted that, as observers, we can only ever observe relative motions. We cannot really know absolute motions. So if, for example, we happened to be in a boat going along a coastline, we really don’t know whether the boat we are in is moving or if the coastline is moving alongside us. Nonetheless, Buridan rejects the idea that the earth is rotating, based on the fact that if you shoot an arrow straight up in the air, it falls back to the ground exactly where you shoot it from. Clearly if the earth were actually rotating, the arrow should be left behind as the earth rotates under it. His younger contemporary Nicole Oresme later argued that the arrow experiment doesn’t prove anything. This is because the arrow also has an impressed horizontal force which it picks up as it is shot from the earth which keeps it moving along with the earth. Moreover, Oresme uses a second argument based on what things look like on a moving ship (this is similar to the arguments that Galileo would use 250 years later). Oresme says that if we are on a ship which is moving and we move our hand up the mast and down the mast, for any observer which happens to be on the ship, the hand looks like it is moving straight up and straight down. However, to an observer who is not on the ship, it looks like there is also a horizontal motion. They would see the combination of the ship sailing along and the motion of the hand. The observer would therefore see two different things from two different vantage points. Moreover all the motions that we can do on the moving ship look the same to the sailors on the ship, whether the ship is moored in a dock or is saling fast on the ocean. What Oresme is doing here is something we would recognise today as ‘frames of reference’. This is important in physics of motion. Oresme also notes that it is much more economical if the earth turns once every 24 hours, rather than having every other celestial sphere do that motion themselves. By this he means that reason is a very powerful thing, but there are limits to what reason can actually show us, like it cannot tell us whether the earth moves or not. Similarly, if it cannot answer a physical question about the world, we have to be very careful about the use of reason in discussions about theological articles of faith. Oresme has therefore used rational arguments to show the potential insufficiency of rational argument. Contemporary fashion requires that Buridan and Oresme be called "brilliant" and "even more brilliant" respectively (p. 66), when they were in fact perpetuating anti-science by maintaining that the question of the earth's rotation "is scientifically indeterminate" (p. 68), and should be decided on the basis of the bible, the "Aristotelian principle that rest is a nobler state than motion" (p. 65), or whatnot. As above, then, they turn away from science towards arbitrary speculation (though admittedly while claiming that they do the opposite). Now what was that I was saying about it being a bad idea to project your own personal ideology back onto the past? Not Even Remotely Scientific Behaviour ! I was amused to see Richard Carrier’s horrified reaction to the suggestion that Thierry of Chartres’s commentary on Genesis had anything to do with science. 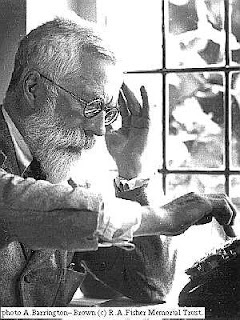 For Carrier, Thierry’s effort - which attempted to set out the creation of the world using Platonism and Aristotelian logic – ‘isn't even remotely scientific behaviour’ and ‘almost in every way exactly the opposite of doing science’. In fact it is so the antithesis of science it even confirms Jim ‘no beliefs’ Walker’s graph of ‘scientific advancement’ which depicts the Christians of the early to high Middle Ages as a bunch of indolent, sub-literate, bible bashers. This is to miss the point by a couple of million light years. What we recognise today as modern science did not exist in antiquity and the Middle Ages. What did exist were inherited beliefs about nature; theories concerning the origins and structure of the cosmos; speculations about the motions of celestial bodies, the nature of elements, diseases and health and explanations of natural phenomena. These were the ingredients which would eventually develop into modern science. Furthermore, the natural philosophers of this period were not like modern scientists, though we are often guilty of projecting our worldview onto theirs. Their explanation of the natural world was inseparable from their philosophical views, their religious beliefs and their theological assumptions. The full historical picture is therefore highly complex because science, philosophy and theology are so inextricably entwined. If we want to understand it, we can’t simply go back through the past giving ‘gold stars’ to those who conform to our expectations and red lining those who don’t. 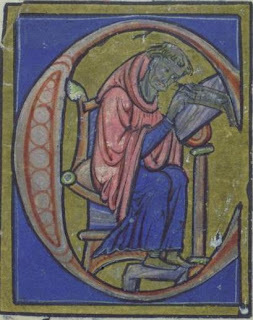 It is true that if you submitted Thierry of Chartres's Hexameral treatise to the scientific journal ‘Nature’ today it would doubtless be dismissed as ‘hand-waving’ and ‘kookery’; but in the context of the early Middle Ages these commentaries provided a framework and a context in which natural philosophy could be done and they undeniably furthered the study of the natural world. Another good example from the Middle Ages is what we would today recognise as the science of the kinematics (dynamics, or causes) of motion. As documented by Edward Grant in ‘The Foundations of Modern Science in the Middle Ages’, this actually seems to have developed out of a purely theological speculation made a couple of centuries earlier. In the middle of the Twelfth century, the theologian Peter Lombard asked a question about how grace or charity could be increased in a person. Could a person become more filled with grace or more charitable?, or as Peter put it ‘whether it ought to be conceded that the Holy Spirit could be incread in man [that is] whether more or less [of it] could be had or given’. His answer was that, since grace and charity are gifts of the Holy Spirit, they are absolute quantities and cannot vary. This means that when a person becomes more charitable it is only because of his participation in absolute charity. All theologians who wanted to get a degree in theology had to write a commentary on Peter Lombard 'Sentences' and this meant addressing this question. One commentary posed an alternate answer which disagreed with Peter Lombard’s original conclusion, one proposed by the Franciscan theologian John Duns Scotus (John the Scot; Scot in this case meaning Irishman). Scotus was born around 1265 and died in 1308. His argument was that charity could be added incrementally; in fact every quality in a person could be added or diminished incrementally. This idea would come to be known as the notion of the intention and remission of quality. After this was proposed it came to be applied to Aristotelian notions of quality, but also to motions of place. Aristotle had said that there were three kinds of motion. Motion of place, from point A to point B. Motion of quantity, when the quantity of something changes; and motion of quality, for example when an apple turns from green to red. Once the notion of intention and remission had been applied to notions of quality (the amount of grace or charity in a person) it could also be applied to motions of place; or in other words an object moving from a to b or moving with increasing speed. This meant that speed could count as a ‘quality’ and we can therefore add speed with conceptual validity. As time went on, the scholastics who debated this point became less and less interested in the theological and ontological aspects and more interested in the mathematical aspects of qualitative change. In 1330 a group we have touched on before called the Oxford calculators began to use the intention of remission of qualities to talk about local motion. Three of these are William of Heytesbury (who according to Carrier, failed to ‘[advance] the sciences in any important way’ so best not bother reading about him), John Dumbleton and Richard Swineshead. These were all scholars at Merton College Oxford. They defined for the first time, notions of uniform velocity, uniform acceleration and they tried to get a handle on the notion of instantaneous velocity (velocity at one given instant during an acceleration. Uniform velocity was defined as the traversal of equal distances and equal instances of time and that uniform acceleration was the addition of equal increments of velocity added in equal intervals of time. This is pretty much the modern definition, except expressed in a slightly different way. 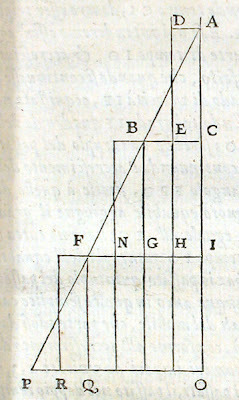 They also devised the mean speed theorem (which according to Carrier’s definition is a ‘renaissance’ invention; and in any case, it wasn’t used properly until the scientific revolution when some Gibbon-eque ‘scientific values’ mysteriously permeated society and ousted the faithheads; in any case Archimedes probably came up with it, we just don’t have the evidence yet and arguments from silence are invalid etc etc..). Why is this at all important? Firstly this set the foundations for kinematic motion. 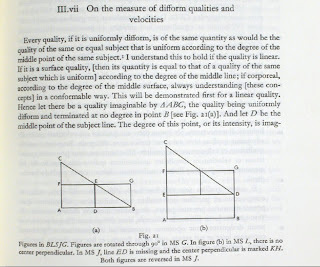 The truth of the mean speed theorem was proven geometrically by (among others in the fourteenth and fifteenth centuries) Nicole Oresme in 1350 and Oresme’s proof, which appeared in ‘On the Configurations of Qualities and Motions’, was well known thereafter. This was significant because as God’s Philosopher’s shows, Oresme’s proof of the mean speed theorem appeared 300 years later in 1638 as the fundamental axiom of the new science of motion in Galileo’s ‘Two New Sciences’. Part of Galileo’s work is therefore rooted in the work of the Oxford Calculators, who in turn were dependent upon the result of an obscure theological question, first propounded by a ‘woo merchant’ called Peter Lombard in the middle of the twelfth century. This example shows us how enormously far a succession of ideas can move and develop from their original source. An enquiry about the nature of the Holy Spirit, grace and charity eventually contributed to a fundamental axiom of kinematics. We therefore need to take an extremely wide view when reading the history of science. You cannot simply go through intellectual history, isolating things we recognise as scientific. If you do that, you completely miss the historical context and the causation behind things. You miss an enormous amount of the influences that come in and originate from what we would today segregate as non scientific activity. Sure, it might be 'not even remotely scientific behaviour'; but so what? ; appearances can be deceptive. Ok, it's not much of an improvement, but at least his presentation skills are improving. Here's another book series that looks fascinating and yet disappointing: Cambridge Philosophical Texts in Context. The idea is to collect together in one volume various (shorter) texts that led up to or resulted from a seminal work in philosophy. I think it's a wonderful idea; it would really whet one's appetite to dive into a particular work. That's the good news. The bad news is that they've only published two books so far, the last one appearing ten years ago. They have volumes on Descartes' Meditations and Berkeley's Principles and Dialogues. I have the Descartes volume, and the only other book listed as forthcoming is on Kant's Groundwork on the Metaphysics of Morals, but it hasn't come out yet. I was so disappointed when I saw this. I'd love to see a volume for Husserl's Logical Investigations.